Honda has fully deployed its fleet of Auto-Max® railcars, achieving a significant reduction in the fuel consumption and CO2 emissions associated with its automobile distribution activities in the United States. The 400-car fleet of more space-efficient Auto-Max railcars is the only such automaker-operated fleet in use in the United States. 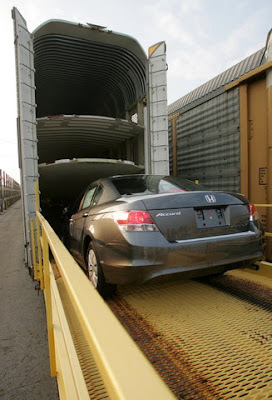 Including the Auto-Max fleet shipments, American Honda currently transports about 82 percent of its Honda and Acura automobiles across the country by rail, achieving the highest rail-shipping rate of any automaker. 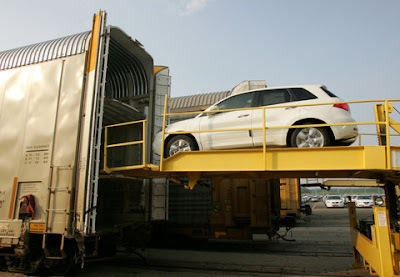 Each multi-level Auto-Max railcar holds up to 22 vehicles and can hold both trucks and cars to reduce unused space. 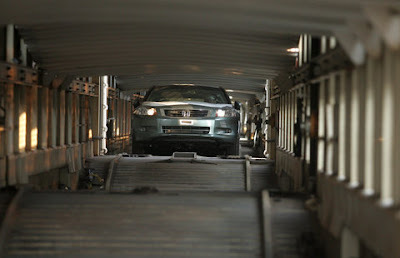 The result is less fuel usage per vehicle shipped and no compromise to quality. An average bi-level railcar can transport only 10 trucks, generally of a single vehicle type. Honda's Auto-Max railcars have a 50-year estimated lifespan versus standard railcars, which typically require a major overhaul after just 20 years of service. Honda participated with the Greenbrier Companies (NYSE:GBX) in designing Auto-Max, which is exclusively manufactured by Greenbrier.